3) Nut disclaimer form - to use when advised by your Area Organiser in those rare cases where a family has disclosed a nut allergy but still requests a cake. Your Area Organiser will have explained to the family that we don't bake with nuts but the cake can't be guaranteed as nut free; and have explicit consent to still provide a cake. The form is the final part where the family signs to accept the cake. You should keep a copy and send it your Area Organiser. Final one for now is number 4, all about food allergies. Take a look. Key message, check, check and check again! They are coming thick and fast, next one available on the same link! This week's OPL is about animal hair and how we must maintain cleanliness at all times. Have a read, it won't take long! 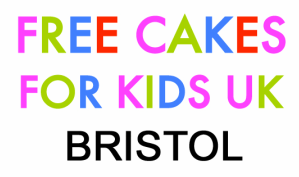 As a volunteer for Free Cakes for Kids Bristol, we need you to keep up to date with what is going on, whether it be Health and Safety advice or news from the National Coordination Group. Check back here regularly for updates or use the RSS feed (that thingy on the bottom right) if you use a feed reader. As a volunteer for Free Cakes for Kids Bristol, we need you to keep up to date with what is going on, whether it be Health and Safety advice or news from the National Coordination Group. Some items are shared with limited access. If this is the case you will be sent an email containing the relevant link.